Article care of Body Piercer Ryan Feagan. Got to pull this mess out a little bit ago, she got these piercings two months ago at C-----s (ear piercing store). 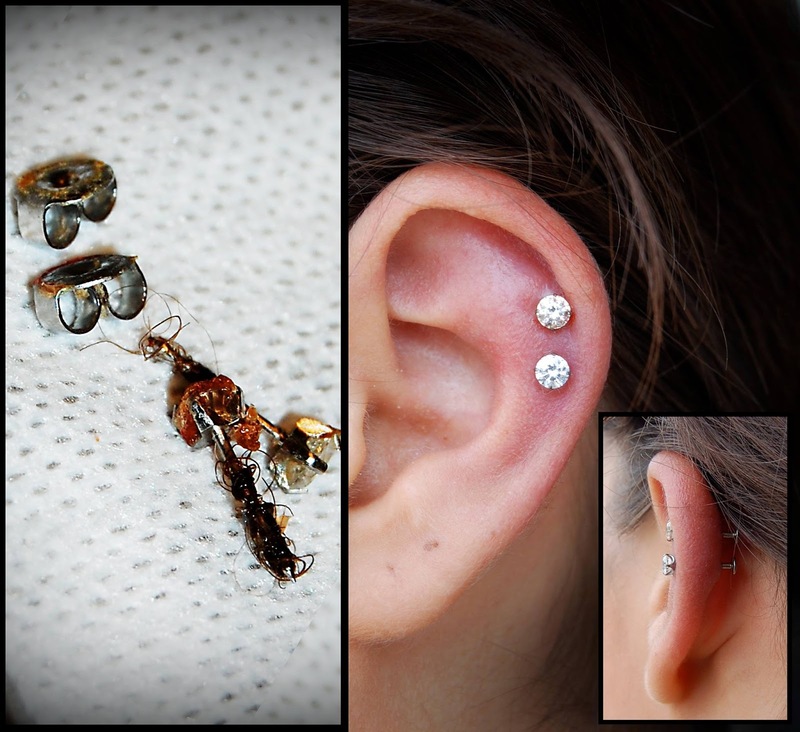 The jewelry was way to short to accommodate swelling, they were almost embedded, and a considerable amount of hair had been pulled through the piercings along with the jewelry. This was a mess and she was in a lot of pain. We pulled this garbage out and put in flat back studs from Neometal with proper room for swelling, she felt immediately better. Do yourselves a favor and get your piercing done right the first time! It'll save you a lot of money and pain! C-----s should be shut down. Piercing guns can not be sterilized, the jewelry is not adequate for wear in the body... at all, one size fits all, the list goes on and on.